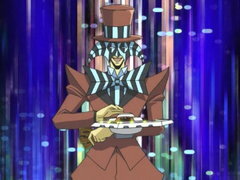 The insane tuxedoed magician Arkana led Yugi to the circus tent of horrors. 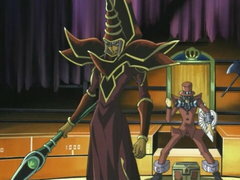 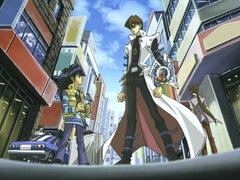 Arkana strapped Yugi's legs in chains to start the most dangerous duel ever - for every life point Yugi lost, a dark energy disc came closer and closer. 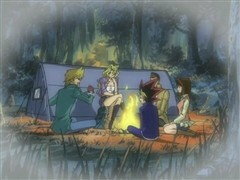 A single touch from the spinning blade and Yugi was on a one-way trip to the Shadow Realm.